Beautiful Incentives: Betty Lous Gift basket Giveaway! 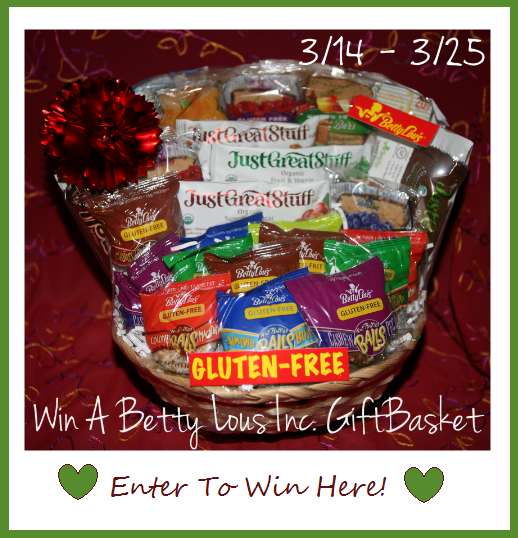 Betty Lous Gift basket Giveaway! A fellow blogger and good friend of mine, is holding a Betty Lous Gift Basket Giveaway! It's worth $75! The best part? It's All Natutal and Gluten free. You can read GreenVics Review [here] Enjoy and Good Luck! Giveaway begins 3/14, and ends 3/25. Goodluck! The Nut Butter Balls sound right up my alley! I've never heard of powdered peanut butter. I'd like to try that. I would like to try the Cashew Pecan Balls.